Packing Details: Plain Carton Packing. Cooperated with ICRC UNHCR and KATAR GOVERMENT. Fujian Da Jin Long Motor Co., Ltd. is an integrated joint-stock company specializing in designing, scientific research, manufacturing and sale heater products. Our company is located in Fujian province which is one of the export bases of electronic products in China. One R&D Laborator, four automatic production lines, 12 years experience, 260 workers, 12, 000 square metres non-dust workshop, UNHCR, ICRC, Qatar goverment cooperative partner, ISO and CE certificated, two hour reach Fuzhou port, 50 thousand production capacity every month, this is how we keep good quality and competitive prices for global valued customers. 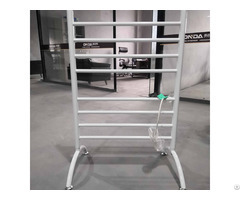 Business Description: Fujian Da Jin Long Motor Co., Ltd. is an integrated joint-stock company specializing in designing, scientific research, manufacturing and sale heater products. Our company is located in Fujian province which is one of the export bases of electronic products in China. One R&D Laborator, four automatic production lines, 12 years experience, 260 workers, 12,000 square metres non-dust workshop, UNHCR, ICRC, Qatar goverment cooperative partner, ISO and CE certificated, two hour reach Fuzhou port,50 thousand production capacity every month, this is how we keep good quality and competitive prices for global valued customers.